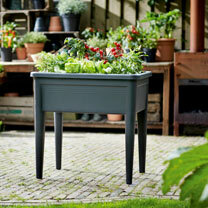 Create your own edible or floral garden, even with limited space, using the innovative Elho "Green Basics" Grow Table XXL. Fill with compost and sow seeds, or transplant seedlings and plants, then pop on the Grow Table Lid XXL (available separately) to create the ideal growing conditions for your plants. The Elho "Green Basics" range uses recycled plastic - only the best plastic on the market is used to make new products in an innovative process. The legs of the Grow Table include holes so that excess water can drain away (if you are using your grow table indoors, make sure you place something underneath the legs). 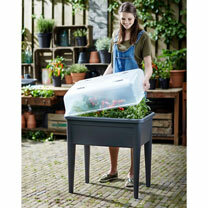 Grow Table XXL: 76cm (30") width, 36cm (14") depth, 65cm (25½") height and holds 56 litres of soil. 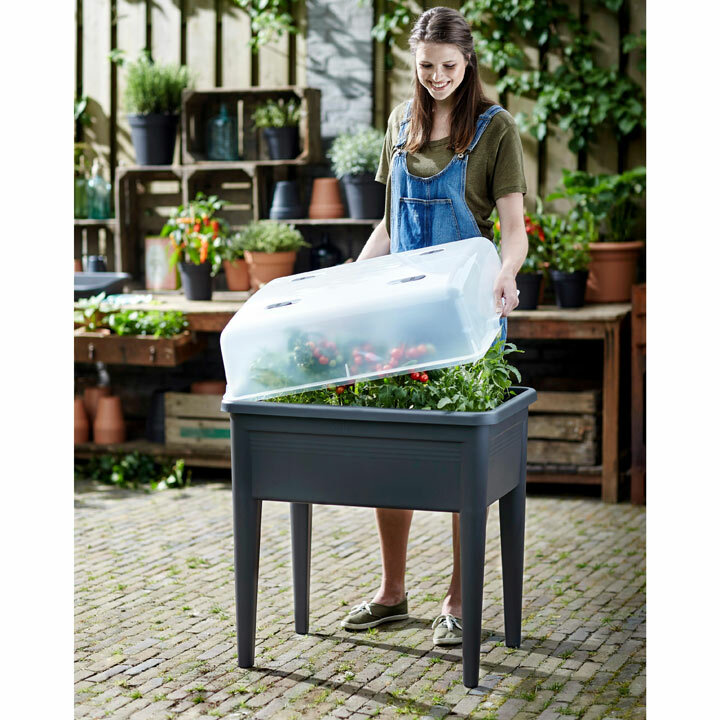 Grow Table Lid XXL - The complete Grow House Trough Table System has the benefit of a polypropylene lid which stands 20cm (8") high. It features a specially developed sun filter to enhance plant growth and climate control sliders in the roof to control ventilation.